Dont miss our Easter deals. We send out a newsletter soon where we give generous discounts for easter. 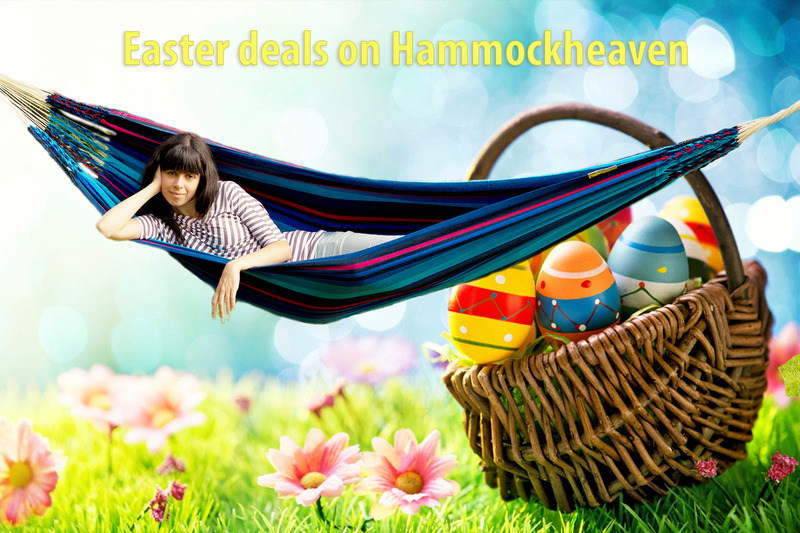 We have discounts on popular hammocks and hanging chairs, and stands and accessories sometimes. You can share the discount codes with your friends and family. You can only take advantage of the discounts by subscribing to our newsletter. We dont send out many emails at all - there are just a few per year and a bit more when its hammock season. Subscribing is easy - just click on www.hammockheaven.co.uk and fill in your email address in the pop up window. You can easily unsubscribe by clicking "unsubscribe" at the bottom of the newsletter.